This spring, Made in KC is excited to offer creative studio space to the makers and creatives that comprise our network. The studios are designed for community, flexibility, and interaction. 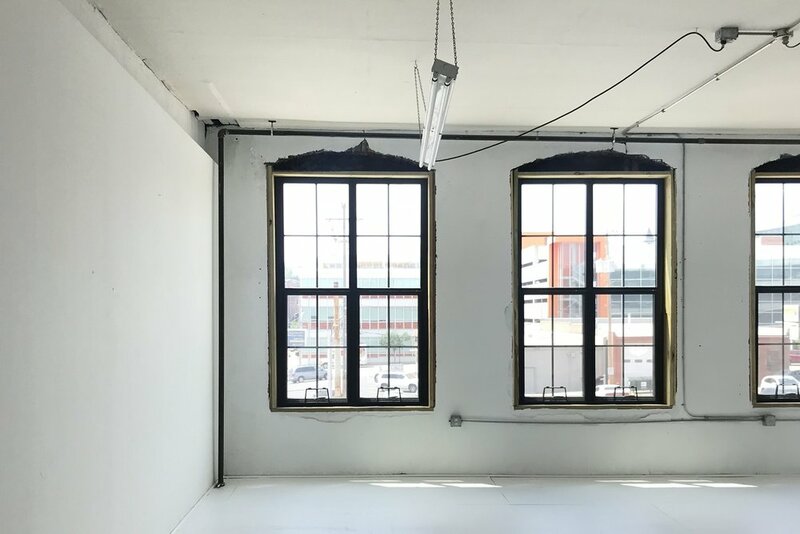 Combining open studios and private studios, tied together by a shared kitchen, work spaces, and natural light photo studio, the Creative Studios will be a hub for burgeoning brands and established companies alike. — All members will have access to a shared kitchen and 1,000 sq. ft. natural light studio space. — Studio use must be arts related. — Reserve your studio with a deposit equal to your first month's rate. For more information, fill out the form below or contact Ariel@madeinkc.co.